So, it’s a little bit of an understatement to say I was excited to give the new Rubbermaid Bento Boxes and Toppers a try. 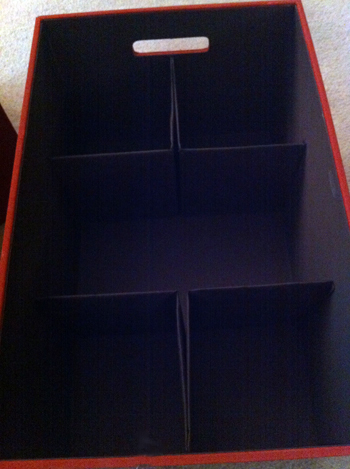 For those of you that don’t know, these boxes take storage to a new level. They’re designed to organize items rather than just store them. Or, you can take that very same box and pop out the flex dividers, which fold in and store against the walls of the box when not in use. Voila! What was one cavernous space is now divided into five useful compartments. 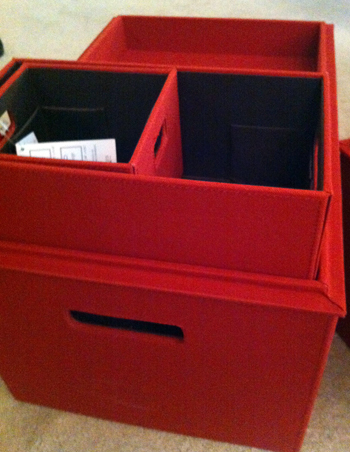 Another part of the organizational genius by Rubbermaid is the Toppers, which can be used in two distinctive ways. You can use them as trays to store things such as mail or remotes, or you can flip them over to use them as traditional lids, giving you a little more height within the box and still providing coverage of the items within. With it used as a tray, a Topper also works well for nesting smaller Bento boxes. The Bento Boxes and Toppers also have the distinction of actually being attractive. No one wants plastic tubs sitting out in their living room, but these boxes come in a variety of nice fabric designs and colors to compliment any home decor. 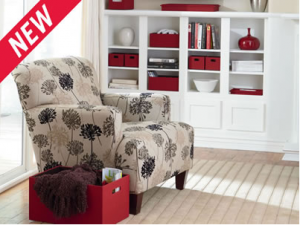 I absolutely love our red set, especially to have out during the holidays for pops of color. 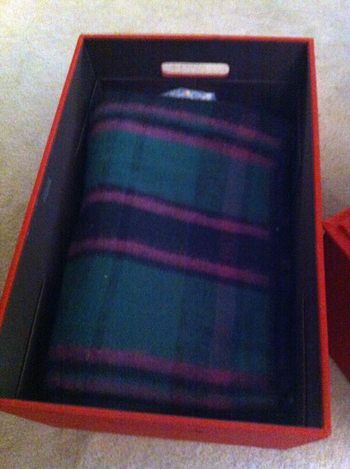 The large box will be perfect to store our Christmas books in, and we can leave it out in the living room to store remotes in the Topper. Determine where you need to work. Ask yourself: What am I constantly looking for every day? What has a place to go but I never put it there? What items are cluttering up flat surfaces in my home? The answers to your questions will help you determine what you need to find a new organizational solution for. Take a step back and explain why it is not working. For example: You find that you always leave your hair brush on your bed in the morning – you have a place for it in your bathroom, but your headbands you wear are in your closet, so you take the brush in your bedroom to use. Active storage should always be where you actually use the item. If things do not have a designated home or a place to go once you’re not using them, they’ll get lost. Be creative and design a solution. Then force yourself to follow through and put things away for 30 days (long enough to form a habit). Make things easy to get to. Make sure they have a designated home. And let everyone in your household know where the designated homes are for these items. 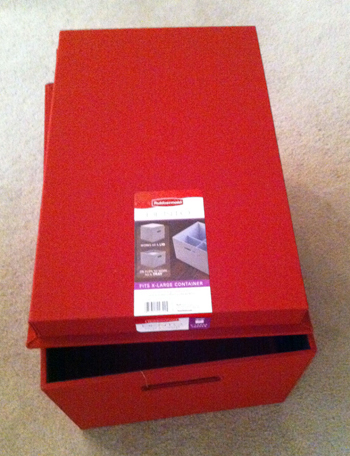 One lucky winner will receive a Rubbermaid Bento Boxes & Toppers set, valued at $113.93. This is the same set I received and it includes an XL Box & Topper, a large Box & Topper, a medium Box & Topper, and a small box. This contest is open to US & Canadian residents ages 18+. Entries will be accepted until the end of the day (midnight Central) Monday, December 5. By entering this giveaway you agree to the Official Rules. Mandatory Entry: Comment on this post telling me what you’d use the Bento Boxes & Toppers to store! 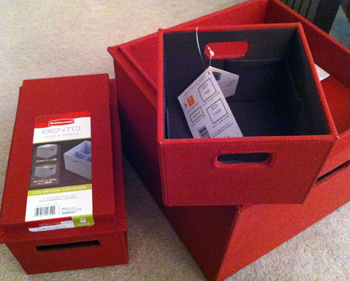 Note: I received a free set of Bento Boxes & Toppers to review, and Rubbermaid is providing a set for the giveaway. All opinions provided in this post are honest and my own. I was not compensated monetarily for this review. Giveaway: Spook Up Your Family’s Halloween Dinner with Tombstone Pizza! I’d use them for electronics, blankets and magazines.